This is about giving. And honoring. And hosting friends and neighbors. Joy Tabernacle Church served as the host church for a massive effort to bring community services to Flint’s Bassett Park on Saturday, Sept. 16, 2017, through Convoy of Hope, a national nonprofit organization that specializes in disaster relief and last year delivered more than 400 truckloads of bottled water to Flint. 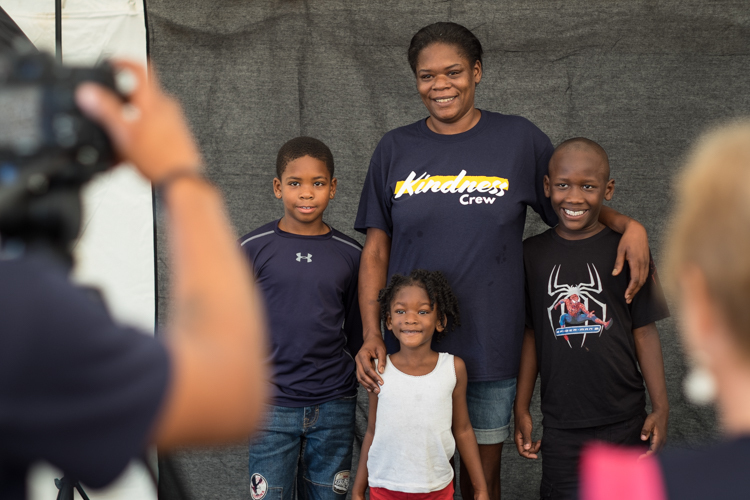 The even offered haircuts, family portraits, health services including 15 types of screenings, groceries, music, veterans services, children’s activities and a bag lunch—all for free and all thanks to more than 700 volunteers. Carriage Town Ministries provided the free bag lunch and also operated a tent offering free shoes. Central Church of the Nazarene in Flint Township helped coordinate the massive outreach event. 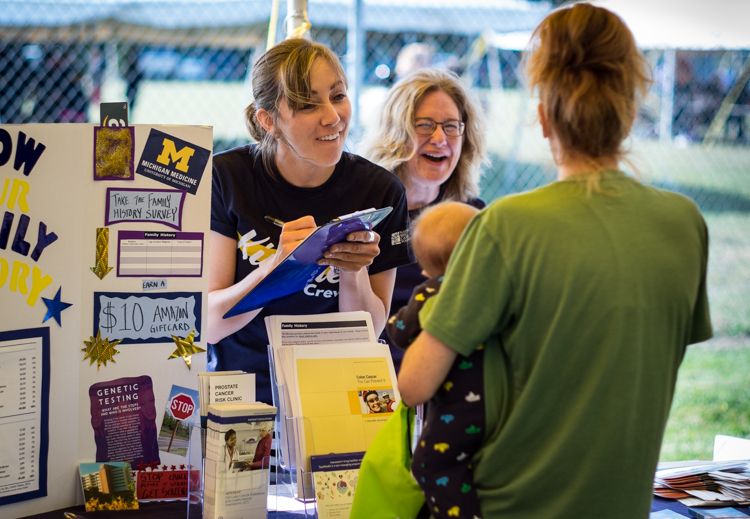 Todd Womack, a pastor at Central Church of the Nazarene and a University of Michigan-Flint professor that has partnered extensively with the Civic Park neighborhood, said the event could have served as many as 5,000 residents. 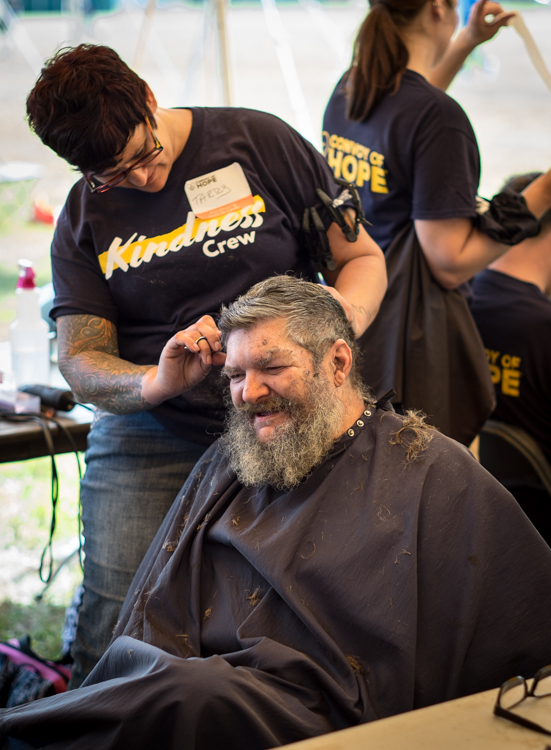 Earl Wayne Jones of Flint gets a haircut from Tarry Planer (cq, Tarry) a cosmetologist from Midland at the Convoy of Hope event in Bassett Park in Flint on Saturday. Jones said he doesn't remember the last time he had a haircut. 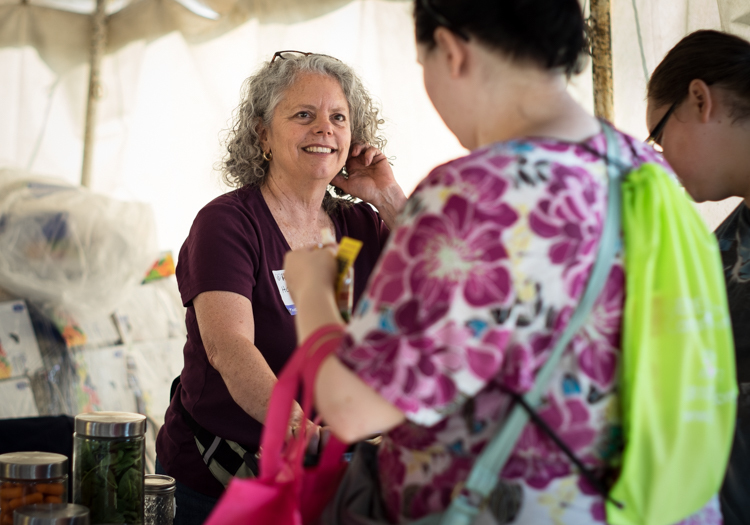 Holly Lubowicki of the Community Foundation of Greater Flint assists visitors to a tent assisting visitors with childhood nutrition at the Convoy of Hope event in Bassett Park in Flint on Saturday. Tara Stimson of Davison Twp. 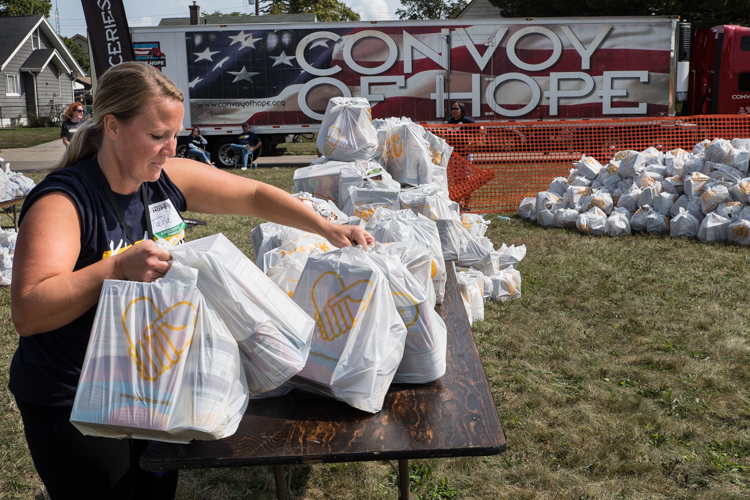 organizes the bags of groceries at the Convoy of Hope event in Bassett Park in Flint on Saturday. She is a social work student at UM-Flint. 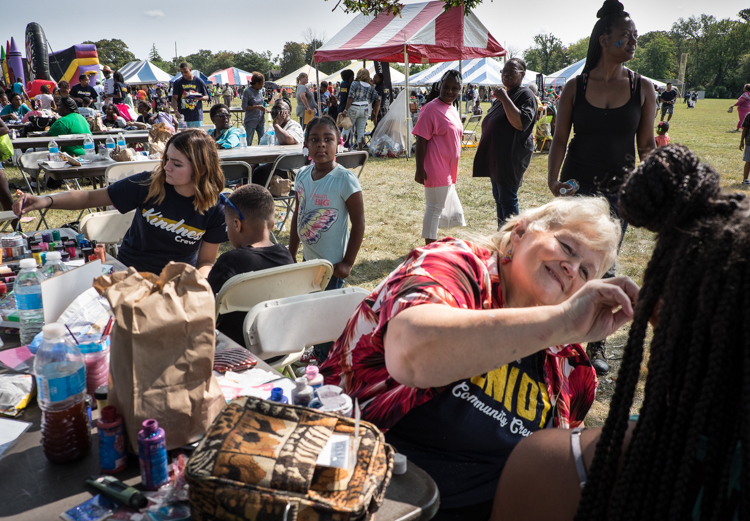 Cyndie Martin of Flint paints faces at the Convoy of Hope event in Bassett Park in Flint on Saturday. She has a business called Unique Creations. 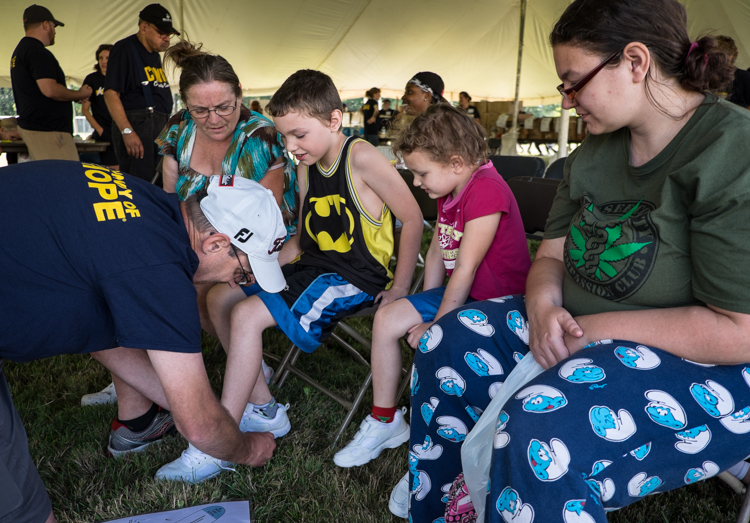 Brent Rhoads of Midland assists Benjamin Huff, 8, and Thea Huff, 5, with new shoes at the Convoy of Hope event in Bassett Park in Flint on Saturday. At right is Leanne Talada of Burton, the children's mother. 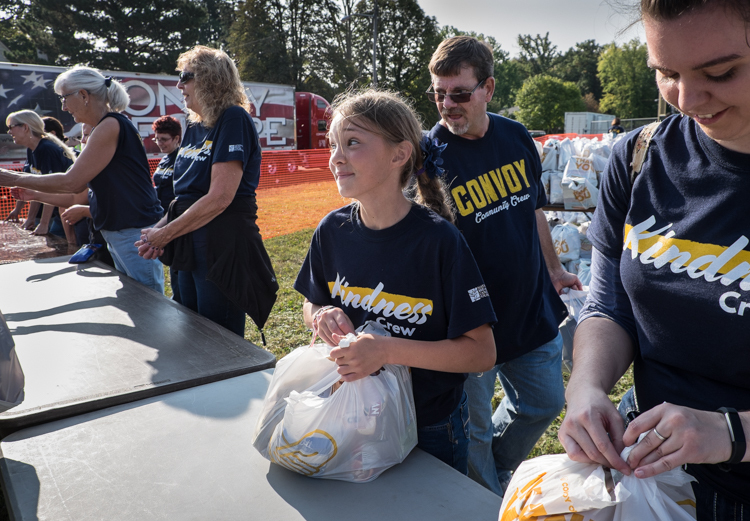 In background is family friend Susan Luar Bella Kirby, 11, of Goodrich, interacts with other volunteers at the Convoy of Hope event in Bassett Park in Flint on Saturday. She was working with the bagging of groceries effort. She attends Hillside Bible Church. Jon Gries of East Lansing (center) and George Matei of Westland (right) file through the lines of workers bagging groceries at the Convoy of Hope event in Bassett Park in Flint on Saturday. 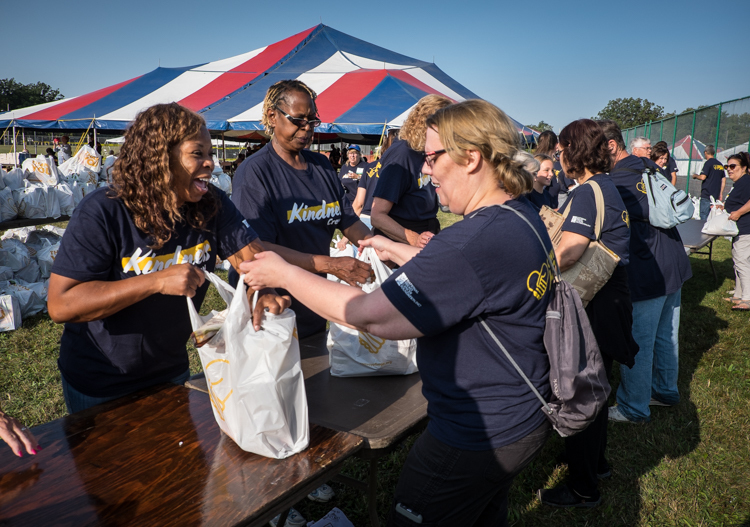 Cynthia Haynes (left) and JoAnne Hill (center) receive bags of groceries that had just been packed by volunteers at the Convoy of Hope event in Bassett Park in Flint on Saturday. 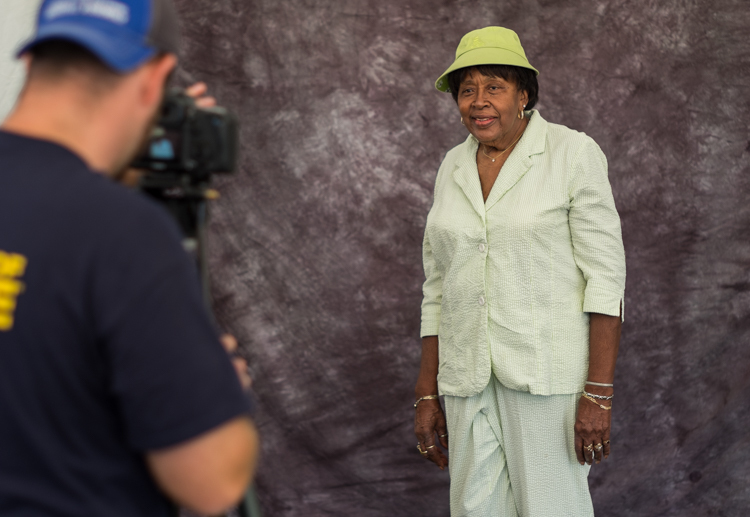 Both attend Joy Taberacle in Flint and both live in the city of Flint. 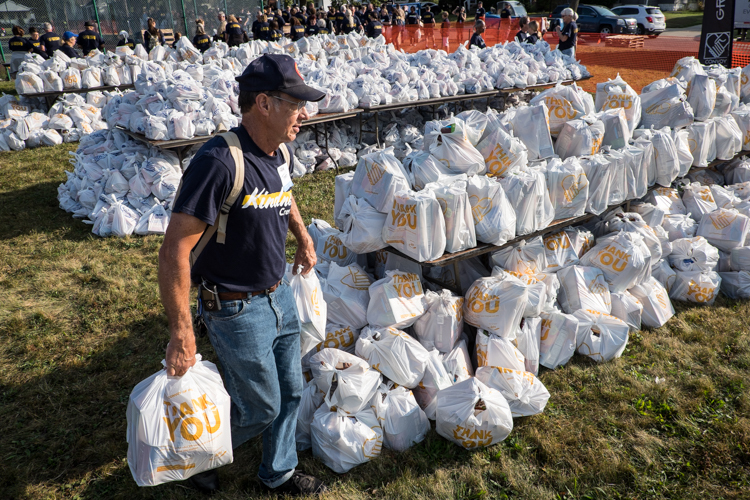 Todd Gawel of Gladwin carries groceries to add to the piles before the opening of the Convoy of Hope event in Bassett Park in Flint on Saturday. He attends Gladwin Assembly of God and also participates in the Royal Rangers boys ministry there. Read more articles by Bruce Edwards.